The DNAnexus team is headed to San Diego, January 13-17, for the largest gathering of Ag-Genomics scientists in the world! The International Plant & Animal Genome Conference brings together over 3,000 leading genomic scientists in plant and animal research to discuss recent advancements, ongoing projects, and future studies in the field. Learn more about PAG and register here. 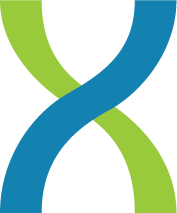 Visit DNAnexus in booth #431 to learn how we can be your partner for complex genome assembly, structural variation analysis, and physical mapping to achieve complete and accurate views of all types of genomic variation. Join our activities listed below, or email us to schedule a member of our team at the conference. Stop by our booth to learn how to leverage PacBio’s FALCON and FALCON-Unzip tools on DNAnexus for streamlined genome assembly. Bioinformaticians from PacBio and DNAnexus will be available to answer questions. Brett Hannigan, PhD, Director of Scientific Partnership, will discuss how the Vertebrate Genomes Project at the Sanger Institute leverages DNAnexus to access approved tools, pipelines, and datasets generated by the consortia. Maria Nattestad, PhD, Scientific Visualization Lead, will debut Dot, our interactive dot plot viewer that enables scientists to visualize genome-genome alignments in order to evaluate new assemblies and perform explorative comparative genomics. Dot will also be presented as a poster (PO104) Monday, January 15th from 10:00am-11:30am in the Grand Exhibit Hall.